Founded as NIPPON BRAKE LINING SEISAKUSHO for the manufacturing and sales of brake linings for automobiles and various high-speed machines. Changed company name to NIPPON VALQUA INDUSTRIES. 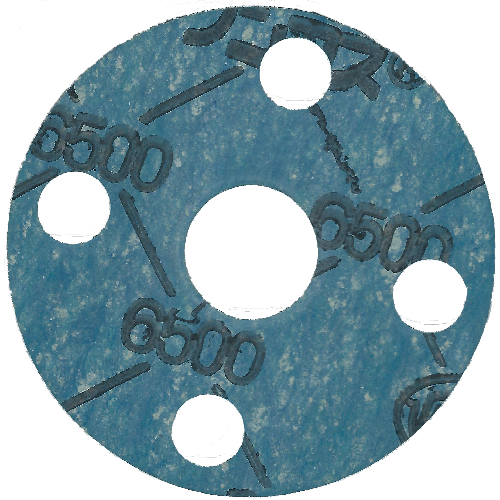 and started manufacturing of gaskets for industrial use. Established at the Sagami Plant (formerly the Atsugi Plant) in Atsugi-cho, Aiko-gun, Kanagawa Prefecture. Started manufacturing of Synthetic Rubber Gaskets and compressed Sheets for application on aircraft. Merged with Nippon Kinzoku Eitai Kogyo Co., Ltd. and began producing metal gaskets for the fuel industry. Completed research work on the fabrication of fluorocarbon resin and was the first company to successfully commercialize the product inJapan. Began manufacturing and sales of such resin under the trade name “VALFLON”. Listed in the second section market at the Tokyo Stock Exchange. Founded the joint venture company TAIWAN VALQUA INDUSTRIES, LTD. (now a consolidated subsidiary) in Taiwan. Listed as a publicly quoted company in the First Section of the Tokyo Stock Exchange and the Osaka Stock Exchange. Founded the joint venture company VALQUA INDUSTRIES (THAILAND), LTD. in Thailand. Merged with Okafuku Shoji Co., Ltd. Established Nara Works in Gojo, Nara, and started manufacturing of highly-functional rubber products. Founded SHANGHAI VALQUA FLUOROCARBON PRODUCTS CO., LTD.(now a consolidated subsidiary) in China. Nara works obtain ISO9002 certification. Founded VALQUA AMERICA, INC.(now a consolidated subsidiary) in U.S.A..
Equity participation in Taisei Equipment Co., Ltd. (now Valqua Techno, Ltd. (now a consolidated subsidiary)). Founded VALQUA SEAL PRODUCTS (SHANGHAI) CO., LTD.(now a consolidated subsidiary) in China. Nara works obtain ISO14001 certification. Founded VALQUA (SHANGHAI) TRADING CO., LTD.(now a consolidated subsidiary) in China. Nara works obtain ISO9001 certification. Established Valqua Seal Solutions Co., Ltd. (now a consolidated subsidiary) through a simple spin-off split of the production department (Shinshiro works and Nara works). Founded VALQUA KOREA CO., LTD.(now a consolidated subsidiary) in Korea. Opened M·R·T CENTER in Machida, Tokyo, as the center for our fluorocarbon resin business and human resources development. Headquarters moved from Nishi-Shinjuku, Shinjuku-ku, Tokyo to osaki, Shinagawa-ku, Tokyo. Founded VALQUA VIETNAM CO., LTD.(now a consolidated subsidiary) in Vietnam. Made IIDA PACKING INDUSTRIES CO., LTD.,(VALQUA METAL TECHNOLOGY CO., LTD.) a consolidated subsidiary. Launched enhanced China operations through an operational and capital tie up with Daikin Industries, Ltd.
Made Fujimi Fine Technology, Inc.(now VALQUA FFT INC.) a consolidated subsidiary. Made NISSHIN GULF COAST, INC.(now VALQUA NGC, Inc.) a consolidated subsidiary in U.S.A.. Founded VALQUA INDUSTRIES SHINGAPORE PTE. LTD.(now a consolidated subsidiary)in Singapore. Changed company name to VALQUA, LTD.